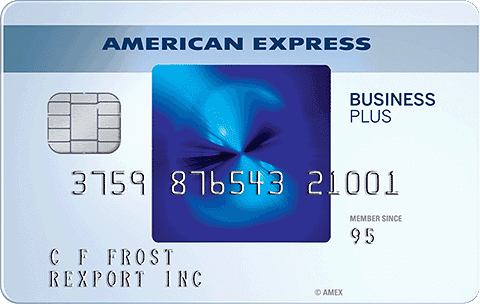 The Blue Business℠ Plus Credit Card from American Express may be the best business credit card for you if you need a long introductory 0% APR promotion and your business doesn’t have a ton of expenses. While the card doesn’t charge an annual fee, it still provides a ton of value upfront and in the long run, too. Few flat-rate credit cards offer 2% cash back or more, and the Amex Blue Business Plus Credit Card does that—and more. It earns valuable Membership Rewards points that you can then transfer to Amex’s travel partners for even more lucrative redemptions. That said, the Amex Blue Business Plus Credit Card may not be the best choice, depending on the size of your business, and if you spend a lot in any one category. In that case, it’s worth checking out the CardCruncher tool to find the best match for you. But if the Amex Blue Business Plus Credit Card sounds like the right fit for you, here’s what to know before you apply. Bottom Line: Should You Apply for the Blue Business℠ Plus Credit Card from American Express? Minimum Payment: The greater of $35 or interest on the statement, plus 1% of the full balance, excluding any over-limit amount and penalty fees. The Amex Blue Business Plus Credit Card may be a good fit for your business for a few reasons. Here are our top ones. The card offers an APR of 0% for 15 months, then 13.49%, 17.49% or 21.49% variable APR. That’s one of the longest 0% APR promotions you’ll get with a business credit card, and it applies to both purchases and balance transfers. You’ll earn 2 points per dollar on the first $50,000 you spend each year. Membership Rewards points aren’t super valuable when you redeem for statement credits or gift cards. But if you transfer them to one of Amex’s airline or hotel partners, you can get way more value than $0.01 per point. If you have a big expense coming up, you won’t necessarily be restricted by your credit limit. You can request to spend past your credit limit before that big purchase. According to Amex, your credit ceiling adjusts with your use of the card, your payment history, credit record, financial resources known, and other factors. The amount you can spend above your credit limit isn’t unlimited, however. Before you apply for the card, here are some potential pitfalls to consider. After you spend $50,000 in a year, you’ll earn just 1 point per dollar on every purchase. If you’re a new business or don’t have a lot of expenses, that might not be a problem. But if you spend that much in just a month or two, you can likely find a card with a higher cap and more rewards. While you can save money on interest with the card’s 0% APR promotion, you’ll pay an upfront fee of 3% to transfer a balance. Keep that in mind as you’re determining how much the promotion can save you. You can extract a lot of value out of the points you earn with the card by transferring them to one of Amex’s travel partners. However, it can take a lot of time and research to ensure that you’re getting maximum value. If you want a simpler rewards structure, consider a different card. If you’re on the fence about the Amex Blue Business Plus Credit Card, here are some other cards to consider. If you like the idea of 2% rewards, the Capital One® Spark® Cash for Business offers that in the form of cash back. You’ll also get a one-time bonus of after you spend $4,500 in the first three months. The only drawback is that the card charges an annual fee of . If you’re a big spender, though, that shouldn’t be a problem. 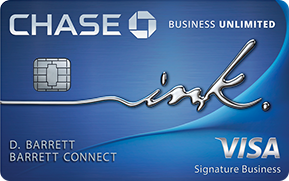 If you still want a 0% APR promotion but don’t want to deal with a rewards cap, the Ink Business Unlimited℠ Credit Card might be a good choice. It offers unlimited 1.5% cash back on everything you purchase, plus an APR of . You’ll also get a sign-up bonus of after spending $3,000 in the first three months. You get all of that for an annual fee of . Here are some other questions we’ve come across in our research with the card, along with their answers. Do you have to pay American Express in full each month? 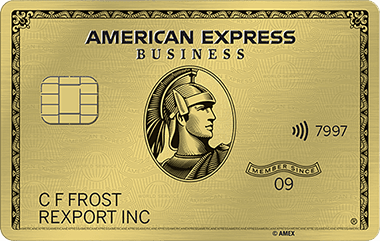 Some Amex cards are charge cards, which require payment in full each month. 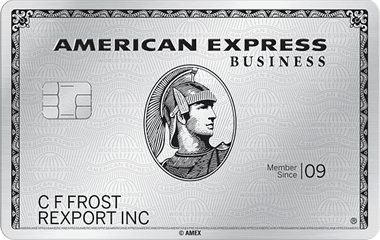 The Blue Business℠ Plus Credit Card from American Express, however, is a credit card and not a charge card. That said, it’s always a good idea to pay your balance in full each month to avoid interest charges—unless you have a 0% APR promotion. What credit score is needed for Amex? To qualify for the Amex Blue Business Plus Credit Card, you typically need to have good or excellent credit, which starts at a FICO score of 670. Having a good enough score might not be enough, however, if other factors on your application don’t meet the card issuer’s criteria, such as business income or history. The Amex Blue Business Plus Credit Card is an excellent choice for smaller businesses that don’t have a lot of expenses. It’s also worth it if you need a long 0% APR promotion. However, if you think you’ll hit the card’s bonus rewards cap quickly, or you want a sign-up bonus, you’re probably better off looking elsewhere. 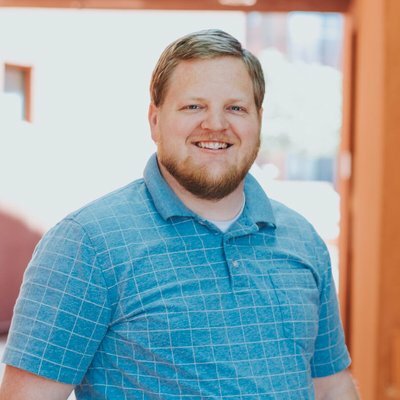 There are a lot of great business credit cards on the market, and you’re sure to find one that aligns with how your business spends. Be sure to give the CardCruncher tool a spin to find the best card for you. Don't see what you're looking for? Ask a question here about Amex Blue Business Plus Credit Card Review: Earn 2X Points on All Your Purchases and one of our experts will get back to you.